Breast fat fill is a procedure that involves surgically harvesting fat from certain areas of the body and injecting them into the breast for aesthetically pleasing outcomes. It does not find application in just breast augmentation, but also following implant or flap based reconstruction in breast cancer patients (post mastectomy) with astounding outcomes. Year after year, there are a number of patients from different nationalities who undergo this procedure at Chennai Plastic Surgery and are immensely benefited. Indications for a breast fat fill. The most vital criterion to undergo a fat fill is that you should have spare fat in a suitable location on your body for it to be harvested. At Chennai Plastic Surgery, the fat fill is performed under general anesthesia. The procedure takes about 30 to 90 minutes depending upon the amount of fat that needs to be harvested and grafted. Injection. This involves injecting the purified fat using the micro droplet technique into the areas of the breast that were marked preoperatively. Blunt canulas with holes at the side of the tips are used for the transfer. Though a single incision, the cannula is inserted and hundreds of tunnels or channels are created. The fat is deposited in very small amounts in each tunnel as the surgeon withdraws the cannula. In the process, we are also introducing stem cells and therefore not just adding volume but also paving way for creating new blood vessels. The incision is then sutured and plastered. At Chennai Plastic Surgery, patients undergoing Breast Fat Fill are encouraged to walk around for a short while following a brief bed rest, but also advised to limit any type of strenuous activity to avoid swelling or bleeding. You are free to go home on the same day as the surgery. It advisable to sleep on ones back during the recovery to avoid pressure on the treated areas. You can resume mild exercise after the first couple of weeks. You will be advised to compulsorily wear customized compression garments for the first few weeks to help minimize swelling, decrease hematoma formation and significantly decrease post operative pain. Suture are removed a week after the surgery. In areas where fat is injected, you will experience tenderness and mild pain, which will settle gradually. The breasts most often starts appearing completely natural immediately following the surgery but you can expect it to assume a much more pleasing shape over time. 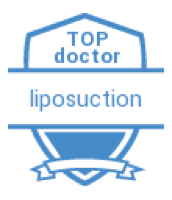 Liposuction is usually associated with some bruising, swelling and mild pain or discomfort in the region of harvest. Though none of the issues interfere with any of your daily activities, the swelling and bruising will take anywhere between 7 to 15 days to go away completely. Sutures in this area are removed at the end of 7 days as well. It is almost scar free as the fat is injected through syringes and small needles. The postoperative pain & recovery time is less than an implant surgery. One almost gets a complimentary liposuction done to another part of the body in the process of sourcing out the fat. It is very economical in comparison to a breast implant procedure. Fat has a tendency to get absorbed partially. Hence the final result can be evaluated only after a period of six months to one year only. They breasts may have a few size, symmetry and shape differences that might require a touch up or correction procedure. Fat as a source for volume augmentation is popular for low volume areas like cheek, chin, malar areas, forehead and depressed scars for more than 30 years now. The latest in the field of fat grafting is the use of one’s own fat in larger volumes to fill and increase size and change shape in areas like breast & buttock. The fat is taken from the areas of fat excess like tummy, thigh or buttock, processed and reinjected using syringes into the breast.